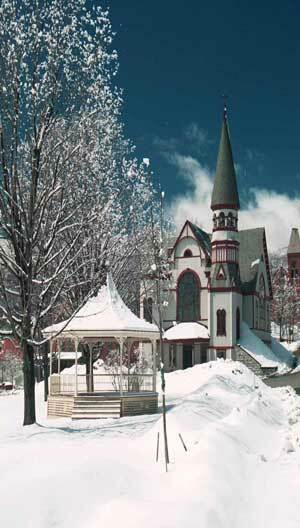 After years of dreaming, in the Spring of 2002, we started our quest to find the perfect piece of property, in the heart of Vermont's Ski country. We knew what we wanted, and were determined to find it. We already had started designing and drawing up our own plans, for the Log Home we intended to build, once we could locate the land. We emailed 30 some odd Reality companies through-out central Vermont, with a list of requirements, that would surely be laughed at. Get Adobe Acrobat Reader Here. Our journey has been full of adventures, some we expected some we did not. We've built bridges and roads, but mostly we've built long lasting friendships along the way. For the most part we have experienced the best in human kindness from everyone throughout our project. Over the course of the following pages we would like to introduce you to some of these people. If you ever choose to build a Log home, or any other style home, here in Vermont, or anywhere for that matter, we highly recommend you consider using the people we've worked with, as you would not be sorry. We have included a "Links" page to help you locate those who have helped us along our journey, to living our Log home dream. Otter's Run is located on 22.2 acres of woodland, in the Aquifer district of the Town & Village of Ludlow, Vermont. It is surrounded on three sides by the beautiful babbling Grant Brook. The North side of the property abuts 5,770 acres of the Okemo State Forest. We are private and secluded, cutoff from the rest of the world, yet only 3.5 miles from downtown Ludlow, and 4.5 miles from the Okemo Ski Resort, and within 1 hours drive of 7 other major Ski resorts.